“You only just watch them damned cowboy shows and drink that cheap beer,” Lydia crabbed at Little Jessie. Little Jessie'd spent 30 years taking orders in the Canal Zone with only brief visits home. He'd seen a fellow gamble away his life's savings, survived a near fatal explosion, and witnessed a man crushed and drowned in the Miraflores locks. Jessie didn't care about right. He only cared about meanness and bossing and lack thereof. But Lydia was worse and worse. He couldn't do anything, say anything, without her telling him what was wrong with him. John Lee's Boom BOOM R O O M ! ! ! The red and blue neon cheered Jessie, he admitted, and he liked the folks headed in wearing furs and finery and jewels. He guessed this might just be alright, and he took a seat right up front. Jessie'd never heard of any of those R&B men before, but he had a good memory, and when he got home, he repeated everything back to Lydia... the titles of all they'd played, and most of the words. And he told her all about LA Fats. Now, not only had Jessie invested in a blues library, he'd also bought a new wardrobe to make his nines at the Boom Boom. Got him a sharkskin suit that “shimmer like a oil slick after rain,” black dress shirt, black Stetson, and he trimmed his mustache to a black pencil line. Lydia told her sister, “He think he puttin' sumpin' over, but I show him; I show him alright,” and she put a scheme in place. Soon after, of a Saturday night, as Jessie stood at the mirror splashing on English Leather and combing back his thin straightened hair, Lydia came up behind him smiling. “Rifleman startin' up tonight, sugar pie; c'mon and lookie here.” She led Jessie back to the den where he'd watched so many Death Valley Days and Wagon Trains and Cheyennes; she'd spread his Lazy Boy with his favorite Afghan. A cold PBR sweated on an end table beside the recliner, and a brand new 46 inch, high resolution, surround sound audio, super bright LCD, glared at him from the TV cabinet. Jessie shuffled around the room. He lifted the Afghan and fumbled with the remote. He stared out the window, down the hall, anywhere to avoid looking Lydia in the eye, but finally, slowly, he began. “Baby, you been a mean mean woman. I know you know you heart been hard and cold as ice. You can't do me no more thatta way you been doin'. That's all, darlin'. That is all.” He left the house then and closed the door gently behind him. 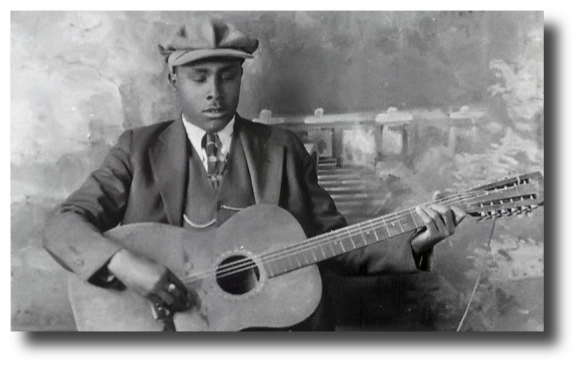 Jessie strode towards the the 22 Fillmore humming “Mojo Working,” and swinging his new ebony walking stick. He was headed for the Boom Boom Room again and sweet sweet La KeeSha. This is a great story. Jessie and others are lucky to have music lift the shades from their eyes. Plus my friends have the Bottom Line Band who do a killer version of "Mojo Working."